Please look the information at JR West website as they are better position to provide information than us. The real concern is how fast you can clear immigration counter. It is something you need to coordinate that. ICOCA card works fine for all stations. Just did some homework,,, actually as recommeded to use Kintetsu, considering Kintetsu rail pass 1 day maybe a good choice - Yen1500 per person for this places only ? Confuse by those term,, limited express, rapid express and express ? Actually Limited and rapid is faster with fewer stop station, it is able to use or topup ? limited express is different from rapid express and express. I have been explaining this to my friend who is visiting Japan for the first time. The seat layout in Limited express train is similar to aeroplane. just what you would see shinkansen. it requires you to pay extra for the seat on top of standard travel fare. In addition, it has fewer stops. If you aren't going to spend more, please use standardised train which has similar seat configuration like our SMRT. They comes with rapid express and express tag which have different stops sequence. Please refer to the timetable of kintetsu train or Google map to double confirm you are looking at the right train. I would like to go for day tour in Kyoto from Namba station. 1) Should I use Sub train from Namba to Umeda ... then take JR Kyoto Line direct to Kyoto station ? 2) In between Umeda to JR Kyoto line, do I need to come out of station or change by walking to the platform ? please learn to use google maps. it is the best tool to travel around japan. JR train can use ICOCA card or need to purchase separately ? Todaji Temple, Nara deer park is also one of spot I intend to go,,, can use Kintetsu Nara line from Namba station to visit this 2 places or JR is better ? Icoca and Suica cards work on all trains/subway, cannot be used on reserved seats. Anyone bought Nintendo switch at Tokyo? go nara by kintetsu line from namba. 14 nov fly into KIX. 19 nov depart kyoto to tokyo. 12 nov fly back to SIN from tokyo. 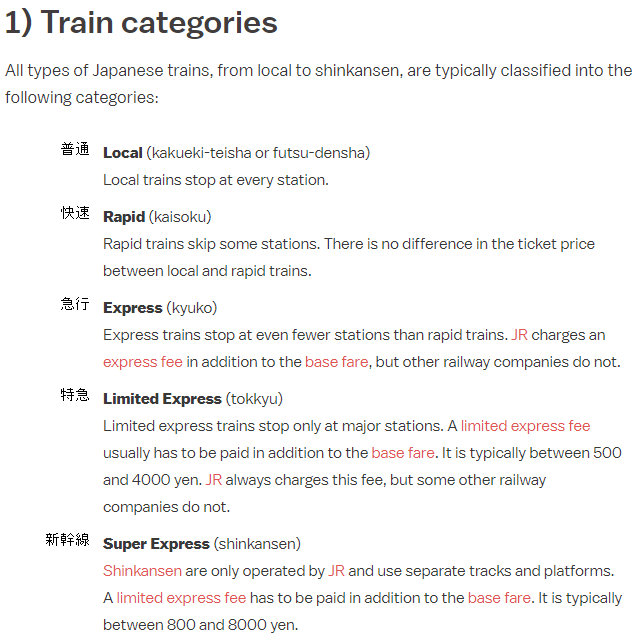 Do i need to buy JR pass for my time in Kyoto + the journey from Kyoto to Tokyo? I require some advice for certain attractions in Kawaguchiko. Are there parking lots in the following areas? 1. Oishi Park to have a good of Mt Fuji over the lake? Other than this area, any other good places to have that scenic view of Mt Fuji mirroring over the lake, prefably with parking lot temporary? I know the north of Lake Kawaguchiko is a good spot. 2. Tenjoyama ropeway / kachi kachi yama cable car. 3. Arakurayama Sengen shrine / Chureito Pagoda. Tried to google walk and i did saw an area with 3 parked cars just below the "no cars" sign and walking path. But im not sure if those are illegal and it seems to be 1 way road only. Last edited by shadow84; 21-10-2018 at 05:11 PM..
No. You will not be able to exceed the cost of nationalwide JR pass based on that schedule. All 4places have lots. Just see u daring enough to go through bidirectional single lane streets and muddy tracks or not. The cable car one. Just park in the massive car park. Should be free one. But those old fart will try to tell you to move off if u don't sit their boats. Just park and walk away. If u afraid of harassment park on the side nearer the mountain. If u have a lot of time, view from lake yamanaka also nice. Thanks for confirmation. Im trying to find the 120 lots carpark for the pagoda in Goole Walk but cant seem to find it. Only saw an open air carpark just further down from the entrance. But i saw an oncoming car in a single lane. So, im not sure if its a one-way or one-lane street though. I also nvr see any "NO ENTRY" sign at the Y-junction entrance. Just have to try my luck i supposed. lol. BTW, if i get fuji hakone pass, i noticed im entitled to discounts for kachi kachi ropeway and excursion cruise. How much discount would i get though? I only saw the pricing are 800 yen and 930 yen respectively. One last advice needed, i might opt for return car at hakone-yumoto from Kawaguchiko on the 2nd day. Advisable? But I dun see any petrol station near Hakone yumoto and bus journey is around 2 hrs excluding any waiting time in between schedules. Last edited by shadow84; 21-10-2018 at 07:23 PM..